Poems by Leung Ping-Kwan. Edited and introduced by Esther M. K. Cheung. New York: Hong Kong University Press, 2013. Hong Kong experienced a remarkable few months in the summer of 2012, when a group of determined high school students, soon backed by their parents, university students, and social activists, launched a successful resistance movement against the National education curriculum the Hong Kong government had been trying to introduce. In the sweltering heat of Hong Kong’s summer, a group that called itself Scholarism organized several well-attended rallies, culminating in a one-week sit-in in front of the new government headquarters in Admiralty. On September 8, one day before Hong Kong’s legislative elections, the government backed down and unconditionally withdrew the project. In the elections the following day, pan-democratic parties, who favor implementing universal suffrage as soon as possible, were able to limit the erosion of support they have been experiencing over the last few years, as Hong Kong voters, under the influence of changing demographics, have shifted their votes to parties seen as less antagonistic towards the mainland. Hongkongers, whether critical of or sympathetic to Beijing, are generally considered “patriotic” in terms of sharing a sense of belonging to a cultural China; the city, even in the anxiety-ridden pre-handover years, has never entertained any serious thoughts of independence. Polls showed that strong public hostility to the national education curriculum was grounded not so much in opposition to learning more about Chinese history or institutions (most people agree this would be useful), as it derived from a strong distrust of a government-defined curriculum, in which students would be tested not on their knowledge but on subjective criteria like loyalty or identification (a textbook prepared by a government-funded research center at Hong Kong Baptist University extolled the altruistic “China model” and criticized the selfishness of “Western democracy”). However, a growing sense of cultural distinctiveness has emerged in the fifteen years since the handover: “Hong Kong identity,” which began as a catchword of cultural studies programs in the years around 1997, is now becoming a more widely embraced notion, whether in newspaper op-eds or in regular public opinion polls. An increasingly vocal group of cultural activists, many of them from the “post-80s” and “post-90s” generation who came of age after the handover, have been gaining prominence in wider social forums. The national education curriculum, first proposed by then-Chief Executive Donald Tsang in 2007 (picking up on a cue from Chinese leader Hu Jintao), also stemmed from growing anxiety in government and pro-Beijing circles about the post-80s, as it became apparent that the return to the motherland, far from putting an end to the “colonial poison” instilled in young minds, had in fact provoked an anti-Beijing backlash among the young generation without direct memories of the British era (some have recently begun waving Hong Kong’s colonial flag in demonstrations, raising hackles in Beijing). These young cultural activists have been mobilizing around a variety of issues: unsustainable city planning, collusion between government and (mainland-backed) real estate tycoons, exorbitant infrastructure construction, growing inequalities, the threat to Cantonese language, the city’s dwindling architectural heritage, and—for the most radical among them—the “invasion” by mainland Chinese tourists or migrants, keen on appropriating the advantages offered by Hong Kong residency. Firebrand commentators like Chan Wan, author of Hong Kong City-State Theory (香港城邦論), openly call for increased autonomy or independence for Hong Kong, while more circumspect academics, such as the sociologist Lui Tai-lok in his recent book The Seventies We Thought We Knew(那似曾相識的七十年代), warn against idealizing the colonial era. The activists share a sense of distinctive identity based on language, shared cultural references, an institutional framework enshrining the rule of law, and an understanding of history that, although not unconnected to the great upheavals experienced by the Chinese nation in the twentieth century, is at the same time both strongly local/Cantonese and maintains unique connections with the former colonial power. A similar evolution took place in Taiwan in the 1980s, also in conjunction with an increasingly vocal pro-democracy movement, when the identity discourse centered on the Chinese nation that the KMT had promoted since 1949 was contested in the name of both local (Hoklo and Hakka) culture and language and a distinctive sense of a complex history, in which Japanese colonialism was retrospectively viewed in a more positive light. The Archaeology of an Imaginary City. Trs Dung Kai-cheung, Anders Hansson, Bonnie McDougall. New York: Columbia University Press, 2012. 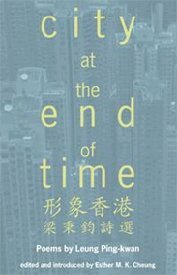 The events of 2012 provide an excellent background from which to understand the significance of recent English translations of works by two Hong Kong writers who represent two generations and who reflect the cultural changes the city has undergone in the past few decades: Leung Ping-kwan (also known as PK Leung or by his penname Yesi (Yasi in Cantonese), born in 1949, who passed away prematurely in January 2013; and Dung Kai-cheung, born in 1967. Both are fragmentary collections: PK Leung’s early poems, written mostly in the 1980s and 1990s, echo the soul-searching that took place in late colonial times about Hong Kong identity, whereas Dung Kai-cheung’s Atlas, a collection of short semi-fictional, semi-essayistic pieces that deal with Hong Kong’s cultural geography, was first published in 1997, the year of the handover. It is indeed quite rare that Hong Kong literature finds a way onto the global stage, and the editors of these two volumes, Bonnie McDougall and Esther Cheung, are to be particularly commended. following a trail of broken glass. though we couldn’t see fire anywhere. This sense of waiting and purposelessness, while going through the movements of the everyday bread-winning routine, in a growingly dystopian environment of breakneck industrial development (“Up close to the body of the sea/ her rainbows were oilslicks./ The images of skyscrapers/ were staggering giants on the waves.” p. 48) are the essence of the Hong Kong experience. The current wave of social activism can be dated back to the protests against the reconstruction and displacement of the Star Ferry Pier in Central in 2007—not the North Point Ferry, to be sure, but a similar example of vernacular heritage, where the locales frequented by ordinary people are suddenly understood to define a sense of belonging. Even as the poet searches for “new angles,” the sense of a countdown to an impending “end of time” is compounded by the ominous announcement: “Only now somebody plans to redo/ everything. Queen’s Café. China Club” (p. 89), suggesting a possible recolonization in which the “Queen’s Café” seamlessly morphs into a “China Club,” while “each of us finds himself looking around—for what?” The everyday experience is hence in danger of being co-opted back into a grand narrative of national emancipation. The old furniture of central hegemony, complete with Chinese couplets, sweeps away the reformers’ demands. Hong Kong, by contrast, stands for marginality, for a different relationship with the centralized Chinese state, which in turn enables it to pursue liberal democracy (rather than the other way around). In this context, the city is a “Leaf on the Edge” (the title of a poem written in 1986), “a plotless detail in the weeds of history,” or “a hidden song [that] needs other listening” (p. 95). While the tens of thousands of people (over a hundred thousand in the last few years, with more and more young participants) who attend the June Fourth vigil in Victoria Park every year to commemorate the 1989 student movement may seem irrelevant in comparison to the huge scale of China, they are the “new angle” that provides a different vision of the center. the new age we all created only yesterday. How shall we proceed with today’s stories? Here, the borders between center and periphery, between a post-crackdown China and a pre-handover Hong Kong begin to blur, as a new diaspora of dissidents disperses into the wide world and lays to rest its own claims to cultural centrality. Hong Kong’s diasporic experience, repeated throughout the twentieth century, thus becomes paradigmatic for a redefinition of China today. Hong Kong’s distinctiveness lies precisely in such a decentering impulse. As Leung writes, Hongkongers were always less likely to romanticize China; marginality is what can define Hong Kong, on the condition that poets like himself refrain from in turn romanticizing it. Because of the complex status of Cantonese, which is spoken but rarely written, “A poet in Hong Kong is by the very nature of things distanced from all that grandiose and heroic voice” (p. 225); hence, Leung feels no need to make his Chinese “standard” or to “represent” Hong Kong. However, this marginal, decentered position should not be understood as a simple form of postmodern posturing: “I am not satisfied with mere playfulness, with irony, indeterminacy, and so on; at times I still very much want to make sense, to locate things historically and geographically […]. I do wish the ‘postmodern’ could lead to resistance rather than resignation” (p. 216). The anti-national education activists, with their “postmodern” rejection of the nation-state model, combined with a decided rejection of political apathy, seem to have taken this lesson to heart. the bitterest pain stays in the heart. too many indifferent and temperamental days? Nothing could better describe the poetic modesty and distinct flavor of PK Leung’s voice. Dung Kai-cheung, who grew up in the prosperous and vibrant 1970s in Kowloon and would go on to write a master’s dissertation on Proust, published the unclassifiable collection Atlas in June 1997 in Taiwan, on the eve of the handover. Dung has since proven himself a most prolific novelist, with a voluminous—and still unfinished—Natural History Trilogy: Works and Creations (2005), Histories of Time(2007) and the first volume of part three, The Apprenticeship (2011), to be followed by a second volume which will complete the set. In this trilogy, he makes liberal use of written Cantonese with its distinctive Chinese characters—a rare occurrence in the literary field—for which a glossary is added. 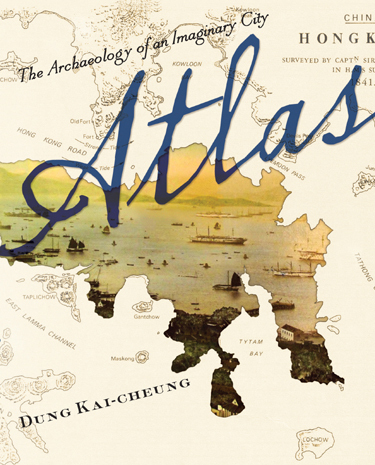 Inspired by a compendium entitled Mapping Hong Kong: A Historical Atlas, published by the colonial government in 1992, Atlas rests on an implicit comparison between drawing maps and writing fiction. More even than Leung, who was a university professor for most of his life in addition to being a poet, Dung Kai-cheung never ceases to engage with theoretical concepts and assumptions about literature, as well as about the status of Hong Kong. The first section of his collection, playfully entitled “Theory,” collects a series of musings about how the significance of a place is constructed through its representation, whether on a map or in a text. A place can only be brought into existence by drawing boundaries, a “fictional exercise of power” that is in fact a “fictional molding of the real world” (“Boundary”, p. 20); these boundaries are in turn translated into the real world and immediately incorporated into various political agendas. Thus, a simple change in scale on a map, zooming out to the level of the continent, effectively “deprives Hong Kong of its independence and enforces China’s unity” (“Unitopia”, p. 37). “Only places that do not exist can escape being possessed” (“Extraterritoriality”, p. 17), hence the aim of the collection will be to unearth the inexistent locales that define a—no longer existing—city of “Victoria” (Hong Kong’s original name). The second part of the collection, titled “The City,” sketches out the internal geography of Hong Kong, with the equanimity of the narrative voice of a cartographic scholar, giving no hint as to which legends or histories are to be believed or doubted. The six boundary stones installed by the colonial administration have been almost entirely lost, we are told; however, the four “rings” (wan 環) into which Hong Kong Island was traditionally divided remain in use as place names today; as to the nine yeuk 約, or “contractual districts,” reaching even further back, according to a legend they represent the nine neighborhoods in which a young waiter successively failed to keep an appointment with his beloved, driving her to suicide (“The four wan and nine yeuk”). Some boundaries are clearly documented, such as the one between the Central district, where streets are named for colonial administrators, and Sheung Wan, where streets have Chinese names, or the Peak, closed to Chinese inhabitants by the Peak Reservation Ordinance of 1904. Others pertain purely to fiction, such as the name Kwan Tai Loo, probably an early name for a road winding uphill (“skirt girdle road” 裙帶路), but which the British officers reinvented as “Ah Kwan leading the way,” a fantasy of a local inhabitant named Kwan warmly welcoming the landing colonialists, a picture of whom was later incorporated into the city seal. Hong Kong’s specific colonial symbiosis still inspires similarly recreated nostalgia when young activists wave the colonial flag today. Street names, explored in the third section, are an inexhaustible source for uncovering layers of historical sedimentation. “Sugar Street” tells of a money mint reconverted into a sugar factory in Causeway Bay that was eventually swept into the harbor by a typhoon, turning the waters and the fish they nurtured sweet. A bay section named for Major Aldrich, a stalwart of army discipline who wanted to convert the entire island into a military cantonment in the 1840s, is aptly eliminated by a land reclamation, and only the Major’s ghost is left to haunt striking workers during the Star Ferry riots of 1966, calling for law and order. Possession Street, which marks the point where the British first landed in 1841, was euphemistically renamed “Water Mouth Street” in Chinese; however, one colonial professor, apparently misunderstanding the meaning of “possession,” proposed renaming it “Exorcism Street,” unaware of the fact that “exorcism,” or in Cantonese “driving out devils,” can easily refer to expelling “foreign devils.” The parallel Tung Choi (water spinach) and Sai Yeung Choi (water cress) streets in Mongkok recall a time when this most urban of Hong Kong areas was filled with paddy fields where, according to the season, one or the other vegetable was grown—a practice that meant the street name would change from winter to summer. Even after two separate streets were created, to facilitate and rationalize delivery of mail by the colonial administration, legend has it that inhabitants would migrate from one to the other according to season, a practice that contrasts with today’s shoppers infesting the area, who are no longer able to distinguish between the two vegetables on a market stall. This history—real or imagined—tells a story of resistance to administrative reorganization and urbanization that finds strong echoes in today’s Hong Kong, where new agrarian communities are emerging in the New Territories. Yaumatei’s “square public street,” where street performers and fortune tellers continue to ply their trade, is described as being originally an entirely sealed enclosure, reminiscent in its complete autonomy of Kowloon Walled City, the extraterritorial enclave in colonial Hong Kong that was finally torn down in 1993. However, Dung concludes, “Adherents of the psychoanalytical school of cartography maintain that the inhabitants of Public Square Street suffered from the combined afflictions of agoraphobia and claustrophobia” a paradoxical combination well known to present-day inhabitants of the city. The last section, “Signs,” is about—what else?—Hong Kong’s complex connections to China and the world. While Hong Kong’s new international Chek Lap Kok Airport, built on reclaimed land despite huge public controversy just before the handover, is ironically described as a flying airport, it is the port of arrival for the cohorts of tourists whose itinerary is retraced in a purported diary extract salvaged from the 1990s. In this city of hotels, the harbor has been dried out (a perennial concern due to the incessant reclamation) and tourists are taken on an “urban restoration tour”: “On the way we observed that the only people we saw in the streets apart from tourists were people who served in the tourist industry. We did not see anyone playing the role of residents (whether this was due to a management oversight or what, it was not clear)” (p. 147). This of course is the dystopian future that the Hong Kong government, with its technocratic vision and insatiable appetite for mainland tourists on shopping-sprees, is bringing about and that the young heritage preservation activists are fighting. In a China in which the central government has decided to make all cities alike—another concern of the Hong Kong nativists—Dung also raises universal questions about preserving the specificities of cities without transforming them into commoditized museums or Disneylands. This indigenous chauvinists’ position, however, is hotly disputed by the traditionalist Granite school, which argues that “the little heap of piled-up earth along the shore will turn into margins within margins even less negligible than negligible. (…) What kind of roots could we hope to find beneath this ‘native soil’?” (p. 140) Here Dung uses symmetrical irony against the cultural chauvinists who try to ground Hong Kong’s separate identity in a postmodern geology of cultural essences, and against the Chinese essentialists for whom Hong Kong’s marginality is simply a “little heap of piled-up earth,” an accident of history. In “North-oriented Declination” the narrator similarly wonders about the “natural” orientation of maps with respect to the “magnetic” north—the “North” in Hong Kong inevitably suggests mainland China: “Magnetic north is the hidden, intangible, intrinsic, and effective guiding spiritual strength; it is the ultimate destination of the north-oriented attachment, although this ‘destination’ is in fact nonexistent. From this point of view, true north is by no means true.” (p. 143) Contesting this cartographical convention and the “unevenly distributed power between north and south,” reformers propose a “south-oriented compass” or “omnidirectional pluralism.” Again, there is an ironic streak in Dung’s detached observation of the Hong Kong nativists and their reinvention of a post-modern geography centered on the “south” and the “margins,” just as he notes elsewhere that “Hong Kong’s actual elevation is perhaps a little lower than the one of our imagination”; this irony does not, however, diminish the original critique of the north-centered paradigm. The collection concludes with “The Orbit of Time,” a piece about time-travel on a Hong Kong subway map. The map and the accompanying schedule of running times for last trains allows readers to travel back on the map to the station where they boarded the train, and thus to go back in time: “In reading maps we take our seats on a train to the past; with the prospect of a future threatened with inundation before us, we face backward in competition with time, striving to delay the arrival of the present.” Dung Kai-cheung has undoubtedly read his Walter Benjamin, but what matters to him is less the impending catastrophe than the act of time travel or cartographic archaeology itself. The simultaneous English publication of these two works is admittedly fortuitous, as the original Chinese texts were written at different times and published in the 1990s. Nor should it obscure the diversity of Hong Kong literature, which ranges from Liu Yichang (born 1918), who inspired some of Wong Kar-wai’s iconic films and Sai Sai (Xi Xi, born 1938), to the more recent works by Wong Bik-wan (born 1961). Dung Kai-cheung and PK Leung’s ways of writing about Hong Kong and reinventing Hong Kong through their writing are admittedly different. Leung’s voice, as rendered in his own translations (co-authored with Gordon Osing), sounds a little like the Brechtian doubter he so admired (“Sometime I’d like to write an ode to all I’m grateful for./ Imagine me, the doubter, writing such a poem.”—“Ode to a Daoist in Del Mar,” p. 177). Great political upheavals are rendered in concrete images (heavy furniture, faded photographs), which are not meant as metaphors. Dung Kai-cheung, on the other hand, resorts more systematically to a technique that might be described as postmodern: erudite details cited from obscure historical compendia are interspersed with legend, oral history, and literary invention, often commented by a glib and self-ironic narrator. However the images of Hong Kong that emerge from these two collections are similar: far from the Cantonese patriotism of kung-fu films or the proudly apolitical but hugely successful taipans and tycoons of the business world, here the everyday experience and the successive reinventions of a many-layered postcolonial history are what define a new sense of belonging to Hong Kong. Both writers engage in soul-searching about the marginal position of the city, about investing with meaning a place that is not and does not aspire to become a nation-state, a place that identifies with aspects of Chinese culture but that has always cultivated its distinct “southern” difference. In these and other ways, these two writers are harbingers, not only of the emerging local sensibility that is beginning to find its translation into social movements and debates, but also of a new way of thinking about the relation between national and cultural identity, about colonial memories and postcolonial nostalgia that questions many of our assumptions about the position of the contemporary writer.